Nigel and Linda have been in the fish frying trade since 1988 and serving the people of Lancaster together for over 20 years. Nigel and Linda started working together at Linda’s parents' shop on Coulston Road. Years later, when Linda’s parents decided to retire, Nigel and Linda decided to buy their own shop on Prospect Street. To achieve this they had to sell their much loved house and uplift the children to live above the chip shop. The pair were determined to turn the run down terraced shop around and began investing money into renovation and the finest frying technology. This investment and Nigel and Linda’s knowledge and commitment was to set them apart from most other fryers. After studying the history of fish and chips back to its humble beginnings nearly 150 years ago, they are committed to raising standards within the industry, aiming to bring fish and chips into the 21st century. Their fish and chips contain incredibly low levels of saturated fat compared to generations gone by. Recent analysis shows that 100 grams of a portion of Hodgson’s fish, chips and peas contains merely 5.5 grams of fat. 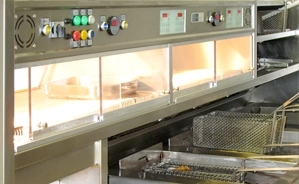 Hodgson’s Fish and Chips are prepared fresh daily from natural products. Hodgson’s sources their fish responsibly from sustainable stocks, only caught by reputable vessels. They marry this to trusty potatoes lifted from the fields of Pilling. They are simply cleaned, cut and fried to perfection. Tony Naylor of The Guardian Newspaper (the national paper not our local one) sang our praises in his December 2011 article entitled "Lancaster's 10 best budget restaurants, pubs and cafes" in which he writes we are "are maintaining a fearsome standard" since becoming Fish and Chip Shop of the year... read the article here. In his blog piece about researching Lancaster's eateries for the paper's "Britain's best budget eats" series, he writes about "the exceptional fish 'n' chips at Hodgson's". Thanks, Tony! You can read his blog post here. Hodgson’s Chippy were thrilled to announce that they had won the UK's Fish and Chip Shop of the year 2005/06. "To win this competition was a dream come true. It’s the best thing to have happened to us in our professional life and has made all the hard work worth it. 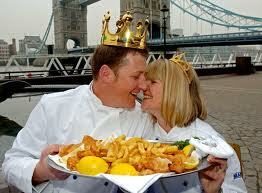 We’ve worked in the fish and chips business for many years and it’s always been great fun. A great accolade for such a hard working committed team." 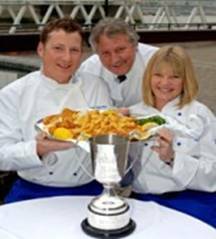 It was a proud moment for Hodgson’s when in 2000 Nigel won the National Title of Young Fish Frier of the Year and in 2005 Paul too won the trophy. This was something that we had worked at for a lengthy time, achieving this made history as we were the first fish and chip shop to have two Young Fish Frier winners working at the same shop. Judging goes through various stages of elimination and each candidate must have a very wide knowledge of the trade as well as, of course, being able to fry the best fish and chips. 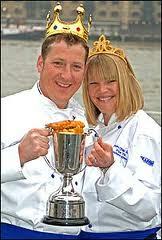 The competition is sponsored by the National Federation of Fish Friers and Drywite who are suppliers to the trade. Click the NFFF logo on the left for more news about our win. Hodgson’s Chippy have been a holder of this prestigious Seafish Quality Award every year since 1998 through to 2009. Stringent criteria must be met to achieve this award, with regular spot checks from Seafish Industry Authority. 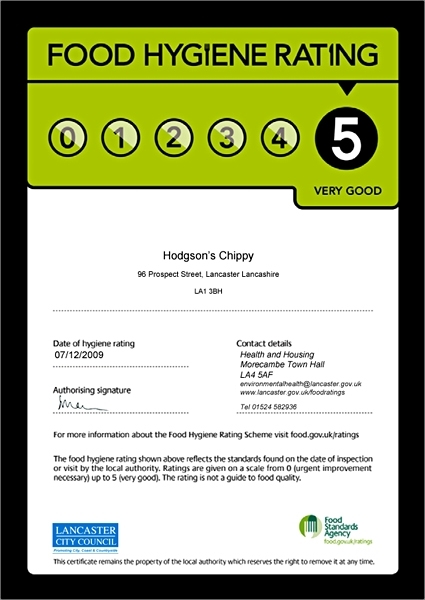 In the new Star Rating Scheme Hodgson’s achieved a Top 5 Star Rating - only a handful throughout the UK have achieved this. STAFF members from Britain's top chippy are frying high again after scooping another award. Hodgson's Chippy were crowned the best in Britain earlier this year when they won Fish and Chip of the Year, here they have also won the Best Team Award from the Lancashire and Blackpool Tourist Board at a sparkling ceremony at the Dunkenhalgh Hotel in Rishton. Says boss Nigel Hodgson: "To win this award recognises what a fantastic team we have at the shop and to succeed over contenders from hotels, colleges and restaurants, it is brilliant!" 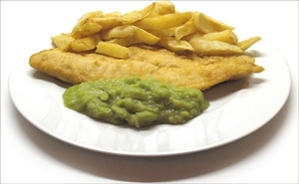 We sent our classic dish of fish, chips and peas to a UKAS accredited laboratory to be tested. UKAS accreditation means that the lab has been assessed against internationally recognised standards to demonstrate competence, impartiality and performance capability. Here's what they found. A great balance of protein and carbohydrate, plenty of fibre, low in fat and salt, our fish and chips are one of the healthiest options for a take-away treat! compliance with structural requirements and confidence in management control/procedures. Lancaster City Council is working in partnership with The Food Standards Agency to run The Food Hygiene Rating Scheme. This is a national scheme, providing consumers with information about hygiene standards in food premises. 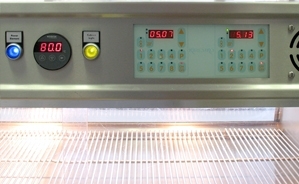 We are inspected by local authority food safety officers to check compliance with legal requirements. The food hygiene rating given reflects the inspection findings. The Food Hygiene Rating Scheme enables you to make an informed choice about where you choose to eat out or shop for food, as it gives you an idea of what's going on in the kitchen, or behind closed doors. You can view the rating of the place where you choose to eat or shop by checking the sticker in the window, the certificate on display inside the premises or by going to the FSA website. Click the FSA logo to go to their website in a new window. To find out how Lancaster City Council monitors food safety, click the LCC logo to go to their website in a new window. 1. The UK has an estimated 10,500 fish and chip shops. 2. On any Friday, one in five takeaways are from the chippy. 3. The average portion of Fish & chips has 9.4 grams of fat per 100 grams, beating other takeaways – the average high street chain burger has 14.8g and French fries have 15.5g. Recent analysis shows that 100 grams of a portion of Hodgson’s fish, chips and peas contains merely 5.5 grams of fat. 4. A portion contains 30 per cent of a female's recommended daily calorie intake and 23 per cent for a man. 5. Cod is the most popular fish sold in fish and chip shops although haddock and plaice are also very much liked. 6. You can get a third of your daily vitamin C from a portion of chips. 7. Thick chips absorb less oil than thin ones, so chunky chips are healthier. 8. In a further survey, fish and chips beat bacon for the UK's favourite smell. 9. Walker's created fish and chip flavour crisps in 2009. 10. Such is celebrity chef Brian Turner's love of the dish he has a chip fork made of silver always with him.